Ashley (“Ash)” Ralph learnt an enormous amount from his time in the army, after joining at the young age of just 17. He talks about an early encounter with a large burly officer who was intimidating and aggressive, yet still Ashley, although scared and wanting to run away, toughed it out and stayed for the journey. This was to be a great learning experience for young Ash, teaching him some valuable lessons about persistence and discipline. Ash has gone on to complete 8 ironman triathlons, he road his bike from Brisbane to Sydney and Perth to Adelaide. Most recently he ran from Melbourne to Adelaide, 1000kms at 100kms a day. We talk in great depth about what the body is capable of and most importantly, about how its the mind that ultimately decides how far we can go and what we are able to achieve. 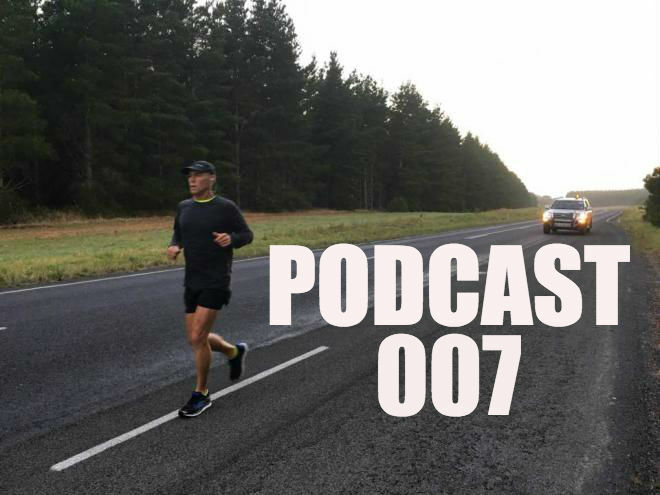 Ash has raised over $700,000 for charity whilst completing these endurance events and he talks about how he loves to lead and unite groups and take them on a journey with him. His greatest role models are not necessarily famous sporting people but are those that are around him, such as his older brother. His brother has an autistic child and Ash describes how hard life is for him and the way he handles this makes him a person that Ash admires and looks up to as a role model. The fear of failure pushes him to set goals and achieve them, but not to the point that he ever allows it to paralyse him or affect his performance, this is a balancing act that he knows he has to master. He also talks about the sacrifices he needs to make in order to raise his 3 boys and to also have very close relationships with them all and about his realisation that he cant do it all and that he needs to learn to say no a little more often. Ash has recently left his 9 to 5 job and has set up his own Home Maintenance business Tick Services (0458153046) , so please support this great man who does his best to raise money for charity and provides his time to help coach and train young men. SPECIAL REQUEST, please share the podcast with just one person. Click on the three dots in the right hand bottom corner of the itunes podcast and share via text, email or messenger to just one person that might enjoy the podcast. You could even send me a recorded audio message telling me what you think of the podcast or even asking me a question. This will be played on the next podcast. Email to me petertakos@hotmail.com or text via 0401818865 or send via facebook messenger.